The index opened weak and went on to make low around 7810 but saw value buying to close higher but still in red at 7870.15, loss of 20.60 points. The broader market was negative with 734 advances to 779 declines. Range for the series is at 7700-8000. 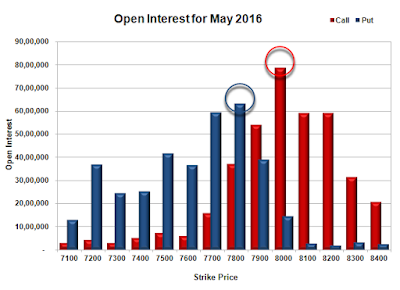 Call option 7800 added 7.80 lacs OI with profit booking at 7900 and above strike prices. Put option 7800-7800 added 9.97 lacs OI with profit booking at 7600 and below strike prices. 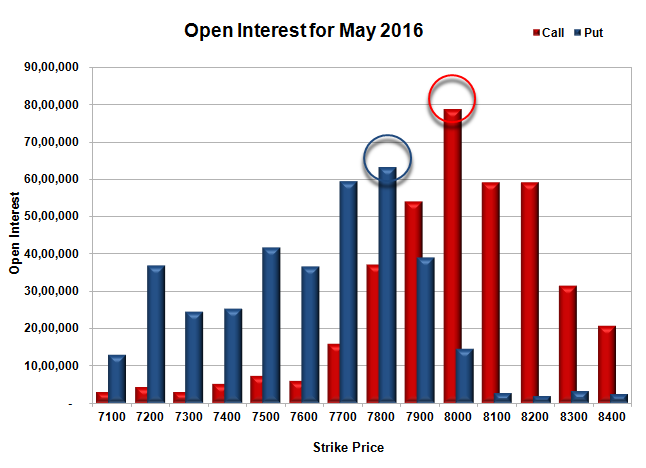 Nifty Open Interest is at 1,60,91,700 down by 5,12,325, with decrease in price, probably long liquidation. Bank Nifty Open Interest is at 17,41,560 up by 28,680, with decrease in price, probably short build-up. FII’s sold huge 22179 contracts of Index Futures, which includes net 980 contracts long build-up and 23159 contracts short build-up, with increase in net OI by 24139 contracts, includes 28591 longs to 50770 shorts for the day. FII’s Index future open contract as on date is 145953 Longs to 127479 Shorts, Net 18474 down by 22179 contracts. 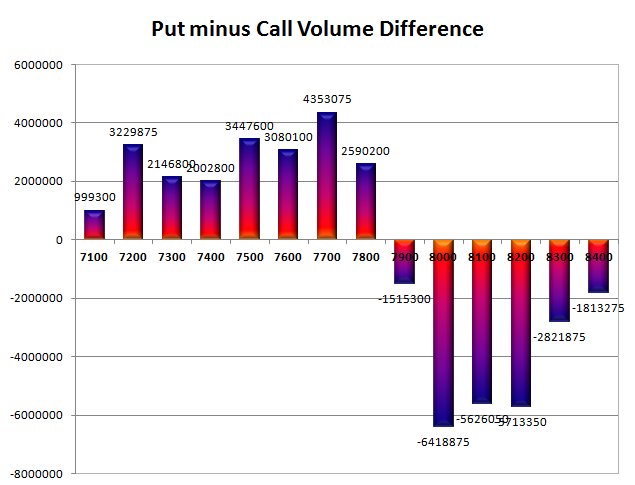 Initial and best support at 7800, with OI of 63.16 lacs and below that at 7700 with OI of 59.40 lacs. 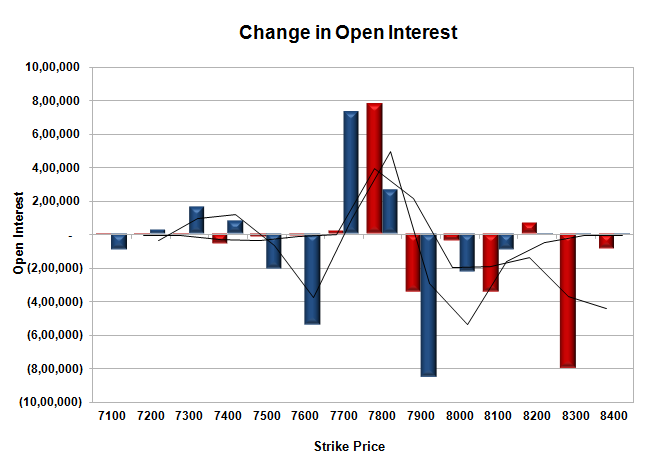 Initial resistance at 7900, with OI of 54.07 lacs and above that at 8000 with highest OI of 78.81 lacs. Day Range as per Option Table is 7792 - 7925 and as per VIX is 7802 - 7938 with 7854 as the Pivot.